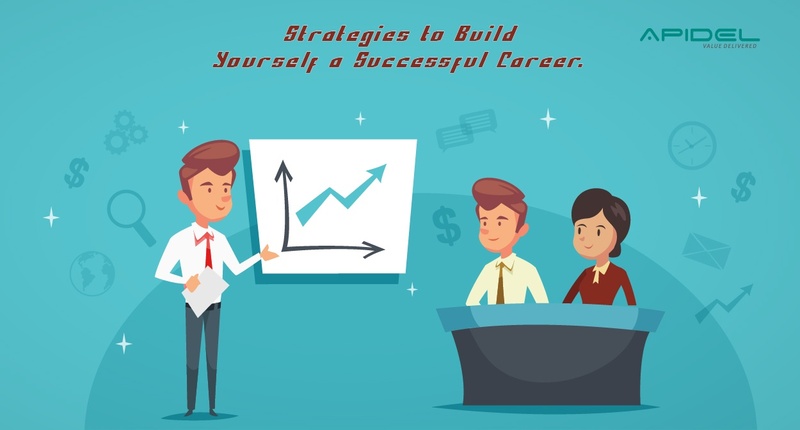 Strategies to Build Yourself a Successful Career. A Must Read! In order to build a successful career, you have to plan first. It’s not a onetime thing that you do in your school and college and then leave it, and move onward towards your job and career. In fact, Planning must be done on a daily basis, no matter "What platform you are at”; and at "What position". Before structuring a successful career for yourself, the utmost thing is to evaluate yourself and have a clear focused mind; stating “What’s your Goal in life?” ‘Or’ “Which career path do you want to choose?” A positive methodology towards your goal will make your life better in all phases, as it offers you a feeling of sanctuary and triumph. 1) Know your Urgencies / Objectives – “What's your Ultimate Goal?” This is an imperative question to ask yourself before you start your journey. You must know your goal in life. Many people today, are just drifting with the trend. They do not follow their dreams; even if they don’t like what they are doing. Hence, it is imperative that you set your priorities and act accordingly. 2) Be Professionally Updated with your Resume – Your resume speaks for you. It tells who you are, what have you done, and how useful can you be for the company. That’s why you should create a professional and neat resume, and be ready when the next opportunity knocks at your door. 3) Enhance your Skills - There is no doubt that skilled candidates are being searched, and hired by all organizations. Hence it is important to give equal importance to both Soft and Technical skills. Its best to keep updating your knowledge, attend seminars, conferences and read books. Be sure to stand out from the crowd! 4) Increase your Network - Networking is all about making connections. When you meet new people, you fundamentally get a chance to learn, interact and enhance your skills. Successful people always make networks and create long lasting relationships. 5) Be Socially Active - Create your social media profiles on LinkedIn, Twitter, and Facebook. These three networks will be your best bet; and you will get lots of opportunities and career choices along the way. Be sure to be updated on them. 6) Believe in Yourself - Your objective in an interview is to go in there, and convince the assessors that you’re more than capable of doing the job, and that you’re the top candidate for the position. Be Confident!